CARMICHAEL, JAMES, militia officer, businessman, justice of the peace, and office holder; b. 29 Jan. 1788 in Fishers Grant (Pictou Landing), N.S., eldest son of James Carmichael and Ann ——; m. January 1812 Christian McKenzie, and they had eight children; d. 1 June 1860 in New Glasgow, N.S. James Carmichael’s father was born in Aberdeen, Scotland, and came to North America in 1778. In all probability he was the Sergeant James Carmichael of the 82nd Foot who received a 200-acre grant at Merigomish, N.S., in 1785. It is unlikely that James Carmichael, subject of this biography, received much formal education, given the general lack of teachers and schools in the recently settled Pictou region. As a young man he was subject to militia duty and by 1807 he was a lieutenant in the Pictou Regiment. That year, following the Chesapeake affair [see Sir George Cranfield Berkeley*], the British government decided to call out the militia in its North American colonies, and Carmichael took a small detachment to Halifax where he remained until the early spring of 1808 working on the fortifications. By the 1820s he had become a major, and when the Pictou Regiment was divided in January 1828 he was appointed lieutenant-colonel of the second battalion, a post he retained until his retirement about 1846. Carmichael’s advances in the militia reflect his rise in community status, which took place slowly and with some effort. He had begun a business career in 1809 and two years later he and George Argo purchased from Alexander McKay an acre lot on the East River, at the future site of New Glasgow. The two men built a store there and began to trade in ton timber for the British market. Before the year was finished fire had destroyed both the store and the stock, but Carmichael re-established the business on his own. Although he had selected a good site, the fall of timber prices following the close of the Napoleonic Wars and the uncertainties of British tariffs on timber were serious blows. He survived, however, and continued to develop his local business, chiefly with hardware and general supplies imported from Liverpool and Aberdeen. He was assisted in 1827 when the General Mining Association began to develop large-scale coal mining at the nearby Albion Mines (Stellarton). The community of New Glasgow expanded until by 1837 it had some 750 residents. As his business developed, Carmichael was able to build his own schooners for local trade. His first venture, in conjunction with his brother-in-law George Rogers McKenzie*, was the 14-ton schooner James William, constructed in 1821. The following year Carmichael, with brother-in-law John McKenzie and John Johnston, built the Perseverance. This 77-ton brigantine was intended for the West Indies trade but was lost on its maiden voyage. The loss, particularly severe because the Halifax agent had pocketed the money intended for insurance, apparently slowed down Carmichael’s expansion since it was not until 1828 that he and John McKenzie built the 139-ton brig Two Sisters. This vessel was sold quickly, but at the same time Carmichael began to develop a regular coasting trade with the 45-ton schooner Mary Ann, also built in 1828. By 1832 this vessel regularly carried oxen and agricultural products to the Richibucto and Miramichi regions in New Brunswick and brought back to Pictou timber and salt for the fishing industry. The salt was probably obtained from the Jersey merchants who brought it as ballast in the ships with which they controlled the fishing trade in the Gulf of St Lawrence. The merchants represented in these partnerships of the 1820s and others with whom Carmichael had dealings such as James MacGregor, his future son-in-law, and Thomas Graham, a large New Glasgow shipbuilder, constituted a significant network of relationships for the area. Throughout the 1830s Carmichael apparently concentrated on trade but in 1840 he began once more to engage in shipbuilding. In addition to such schooners as the Alert (53 tons), Gem (73 tons), and Georgina (107 tons), he built the barques Hyndeford (510 tons) and John Geddie (391 tons) as well as the ship Janet Kidston (889 tons). One of the last ships he constructed was the barque Lulan (472 tons), again with his brother-in-law George McKenzie. An intriguing glimpse into Carmichael’s code of business ethics is provided by events surrounding a trip he made in the Lulan of which he and McKenzie were co-owners. The ship arrived in Glasgow in August 1848 and was due to return to Pictou. McKenzie, the captain of the ship, contracted with a proprietor’s agent to transport 127 impoverished Gaelic-speaking immigrants to Pictou for £3 10s. 0d. each; they wanted ultimately to go to Cape Breton Island and Prince Edward Island. Although the trip was relatively brief, three passengers died of smallpox and when the vessel arrived in Pictou it was placed in quarantine. Carmichael and some members of his family were passengers. Soon impatient to take on contracted cargo, he had temporary wooden sheds built on the beach outside Pictou Harbour to house the settlers. There they remained, ill fed and poorly housed, and without means to move on, until they were finally taken to their original destinations in early December at public expense. Carmichael, who had been forced to pay the costs incurred in the care of the immigrants, petitioned the legislature for compensation for erecting the wooden sheds. In rejecting his request, a committee, which included Thomas Killam*, condemned the callousness and deceit shown by Carmichael, who had a reputation for compassion where his own family and community were concerned. Apart from his interest in the militia and his business affairs, Carmichael took an interest in education which at the time was at the heart of a number of religious and political quarrels. He was appointed school commissioner for the district of Pictou on 28 May 1828 and retained the post for two or three years. He was a supporter of the Pictou Academy and he sent his sons to be educated there. He did not, however, take any active role in the management of the institution until 1841, by which time it had been remodelled into a high school. This participation apparently ended in 1845, the year when new provincial legislation removed any denominational test in the school. Carmichael does not seem to have taken any role in this particular controversy over the academy. He resumed his formal tie with the school system in 1851 when he was appointed a commissioner for schools for the south district of Pictou County. Carmichael’s involvement in educational issues indicates that although he was not a leader he was prepared to meet the responsibilities incumbent on the “respectable” element of society. Thus in the 1820s he became a justice of the peace and in 1834, after helping to obtain an act establishing a commission of streets for New Glasgow, he served as a commissioner for some years. Early in his life Carmichael joined the congregation of James Drummond MacGregor* which worshipped in James Church. As a member, and then an elder of this church, Carmichael was obviously allied with the anti-burgher Presbyterian faction, which was deeply involved in politics in the early part of the century. Although he was not particularly active in politics, his strong connection with the church may have led him to help organize the anti-burgher forces in the infamous “Brandy Election” of 1830 which was marked by open conflict [see Enos Collins*]. 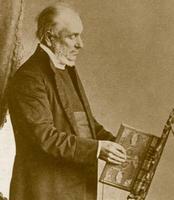 As a supporter of the Presbyterian Church of Nova Scotia and a trustee of James Church, Carmichael took seriously the mandate to help spread the Gospel and in 1834 he helped establish, and became the first president of, the Lower Settlement East River Evangelical Society, intended to promote missionary activities in the Maritimes as well as to extend the influence of the Presbyterian Church “to Heathen, Mahomedan and Anti-Christian Countries.” The next year he promoted a petition requesting that regulations concerning the issue of licences to sell liquor be tightened. As a merchant Carmichael might well have been more in favour of temperance than of total abstinence, a cause very strong in New Glasgow at the time. By 1837 Carmichael, as treasurer of James Church, was involved in attempts to place its finances on a more regular basis. These efforts contributed to a dispute within the congregation, which also arose because some members disliked changes introduced by the new minister, the Reverend David Roy. The controversy was instigated, in large part, by James MacGregor, a son of the Reverend James MacGregor and a son-in-law and occasional business associate of Carmichael. The dissension was obviously a severe test of Carmichael’s loyalties. In 1845 he was one of the 18 members who officially broke away. This group, in recognition of their insistence on basic religious practices, named their new church the Primitive Church; it remained within the Synod of the Presbyterian Church of Nova Scotia. 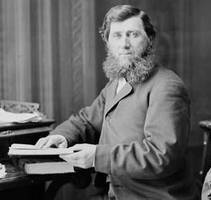 Carmichael’s involvement in church affairs increased, particularly as his sons, John Robert and James William, assumed a greater role in the family business. By March 1854 it was operating under the name of J. W. Carmichael and Company. The firm continued to construct ships, maintain ownership in several vessels in whole or in part, export lumber, and act as an importer. The two Carmichaels also became involved in developing an iron industry through the Acadia Foundry Company. James Carmichael’s active career ended in 1857 when he was thrown from his wagon. He subsequently suffered a painful illness until his death on 1 June 1860. Carmichael died a man of moderate wealth, leaving about £7,000 in cash as well as real property of a somewhat arbitrarily assessed value of £2,000. He had established a business that was ably continued by his sons and, more significant, he played a steady, if inconspicuous, role in the development of New Glasgow. It was therefore quite appropriate that he had the largest funeral in the neighbourhood for some years and that all places of business in the New Glasgow area were closed. PAC, RG 8, I (C ser. ), 1321–22, 1324, 1335–36; RG 42, ser.I, 294–96. PANS, MG 2, 1250, no.12 (J. H. Sinclair, “Alexander Fraser and his dissatisfaction with David Roy, D.D., and the organization of the Primitive Church of New Glasgow, 1845”); MG 4, James Presbyterian Church (New Glasgow, N.S. ), reg. of baptisms, marriages, and burials (mfm. ); RG 1, 446, 448–50. Pictou County Court of Probate (Pictou, N.S. ), Will of James Carmichael (mfm. at PANS). PRO, CO 218/24, 218/28 (mfm. at PAC). Christian Instructor, and Missionary Reg. of the Presbyterian Church of Nova Scotia (Pictou), 5 (1860): 223–24. T. C. Haliburton, An historical and statistical account of Nova-Scotia (2v., Halifax, 1829; repr. Belleville, Ont., 1973). Colonial Patriot (Pictou), 1827–34. J. M. Cameron, The churches of New Glasgow, Nova Scotia (n. p., ); More about New Glasgow (n.p., 1974); The Pictonian colliers (Halifax, 1974); Ships and seamen of New Glasgow, Nova Scotia (New Glasgow, 1959). J. P. MacPhie, Pictonians at home and abroad: sketches of professional men and women of Pictou County; its history and institutions (Boston, 1914). One hundred and fifty years in the life of the First Presbyterian Church (1786–1936), New Glasgow, Nova Scotia . . . , ed. J. M. Cameron and G. D. Macdougall (Toronto, 1939). George Patterson, A history of the county of Pictou, Nova Scotia (Montreal, 1877). Proceedings at the centennial celebration of James Church Congregation, New Glasgow, September 17th, 1886 . . . (New Glasgow, 1886). J. H. Sinclair, Life of James William Carmichael and some tales of the sea (Halifax, n.d.). H. B. Jefferson, “Mount Rundell, Stellarton, and the Albion Railway of 1839,” N.S. Hist. Soc., Coll., 34 (1963): 79–120. Kenneth George Pryke, “CARMICHAEL, JAMES,” in Dictionary of Canadian Biography, vol. 8, University of Toronto/Université Laval, 2003–, accessed April 22, 2019, http://www.biographi.ca/en/bio/carmichael_james_8E.html.